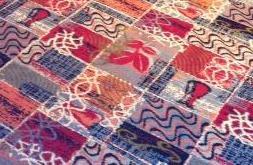 J D Wetherspoon plc is an award-winning British pub chain founded in 1979. The company owns 888 outlets which includes the Lloyds No. 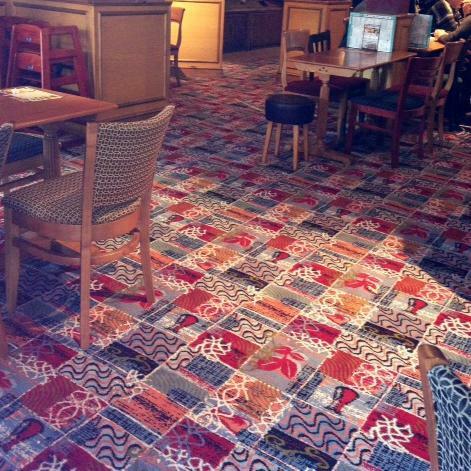 1 chain and 26 Wetherspoon Hotels. The chain has become known for converting large, unconventional buildings into pubs, including cinemas, banks, and post offices. 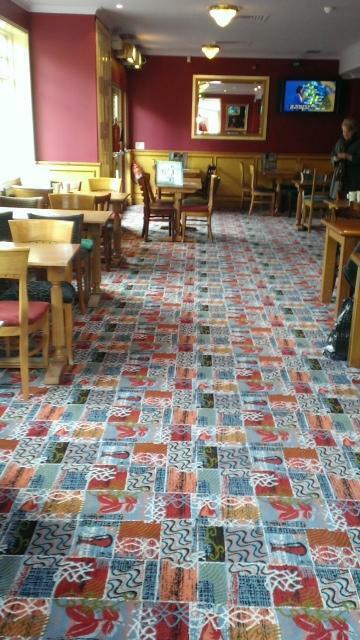 Premises tend to be large by British pub standards, and utilise an open-plan layout. 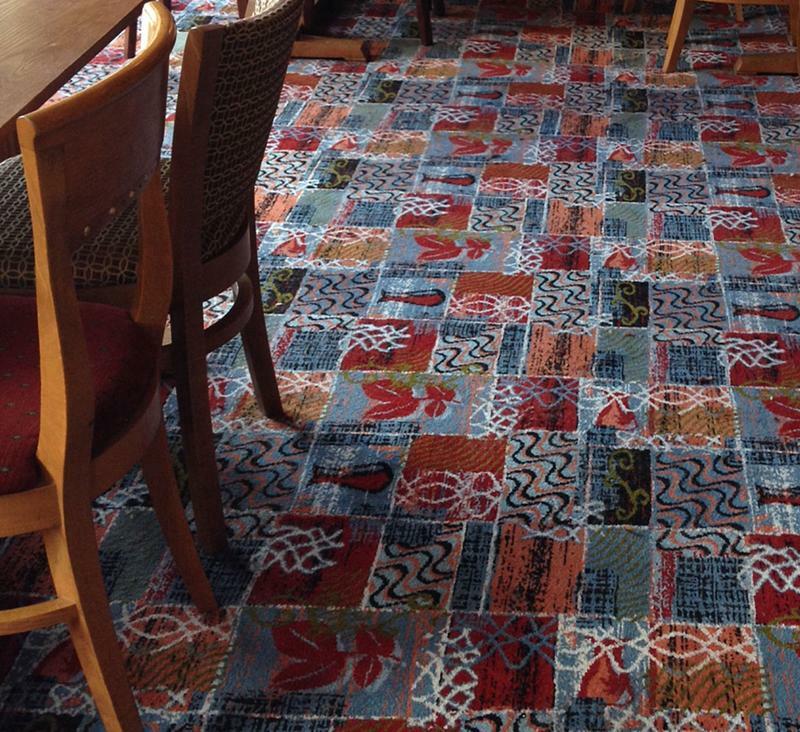 Brintons has been working with J D Wetherspoon to supply custom Axminster carpets to their properties all over the UK including The Kings Highway Hotel in Inverness. 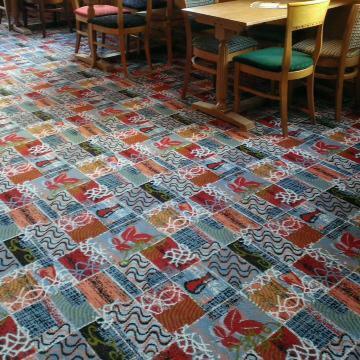 Brintons has recently supplied 316 sqm2 of custom Axminster carpet to The Sir John Baker, Portsmouth. 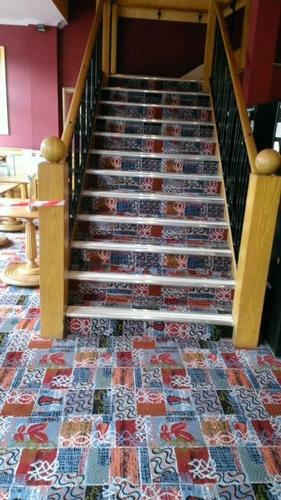 This pub is named after Sir John Baker, Lord Mayor of the Borough (1870 and 1875), who lived in North End House, close to this Wetherspoon pub.